I like any simulations - even simple ones. This one is great, because it runs and displays images as it goes along. Even with Jupyter, I have yet to figure out a way to hold the screen steady, and not have it flicker as the simulation runs. In Jupyter, you can clear the screen each time - but that makes a big flicker. What I do here is just display a created .jpg to the screen every few hundred iterations. If you get everything installed, and run this, you should see six images be generated in real-time, as the simple simulation unfolds. The final image should look something like the one on the right. It turns out in Python, it is non-trivial to get the image to actually display from within a loop, right now. My early attempts at doing this and running it using plain Python (not Jupyter or Interactive Python), would just display a message indicating an image had been created. It would not show the image. 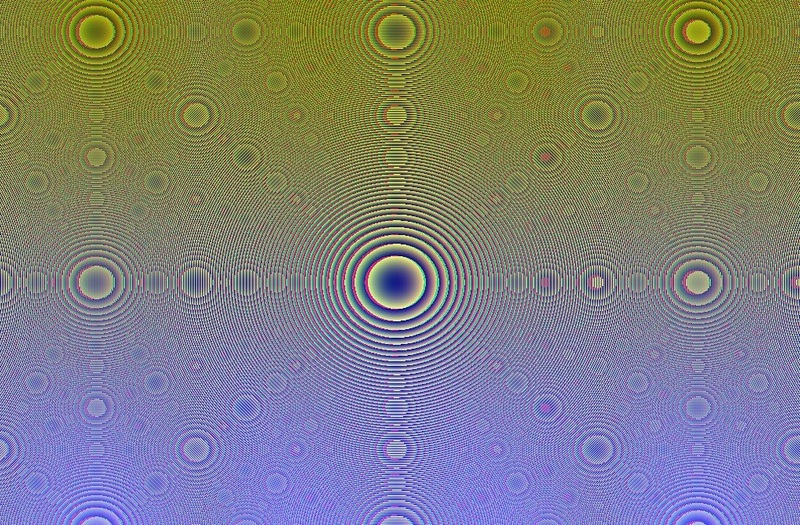 To show the image programatically, I used "imageio" to create the image, and then PIL (the PIllow Library - the updated version of the Python Image Library) to load and show() the image. This program just confirms TensorFlow is installed correctly, and does it's math ok. The program takes about 37 seconds to run on my Intel Core-i3 64-bit Linux box, roughly 5 or six seconds between each image display. 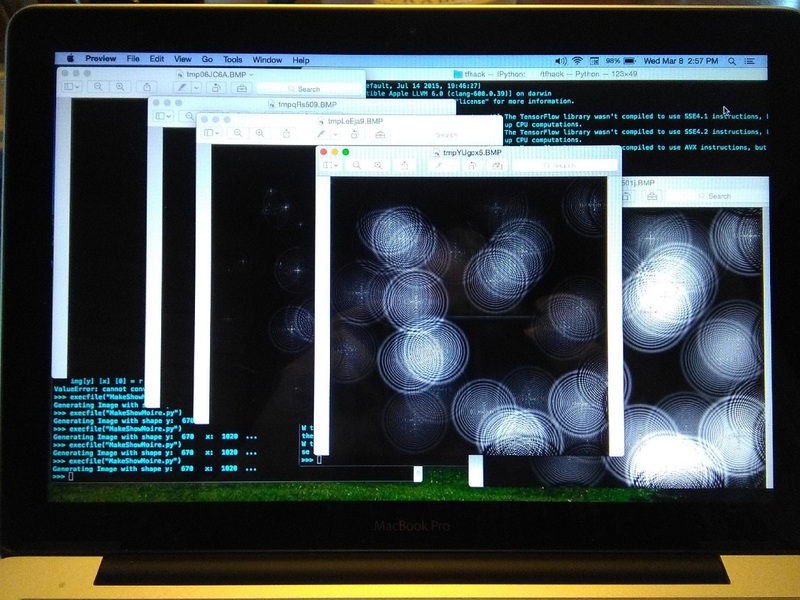 The Python PIP library uses "ImageMagick" to render images from temporary files as it runs, but it does not require user input to click-close the image (like using os.system to call "display image.jpg" would), so you see 6 images overlaid on the screen, after it completes. # """Display an array as a picture. """ # """Display an array as a picture to a file... """
"""Transform a 2D array into a convolutional kernel """
""" A simplified 2D convolutional operation """
"""Compute the 2D laplacian of an array """
# --- Run the simulation forward with a simple FOR loop. 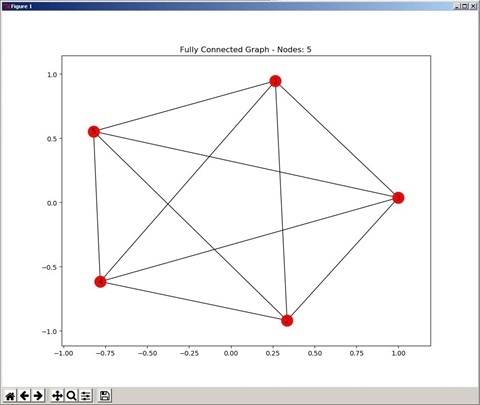 print "Drawing fully-connected graph, with: ",gsize," verticies"
print "... (close graph-window to exit...) "
Example of Fully-Connected Graph, created with Python, and _tkinter, matplotlib, networkx and numpy libraries. This is a .jpg image which simulates Moire patterns, and was created on a MacBook, using a Python program and the scipy and numpy (the scientific and numeric Python libraries) and PIL (the Python Image Library, but now actually called Pillow). This image was rendered using the Preview utility of the MacOs. 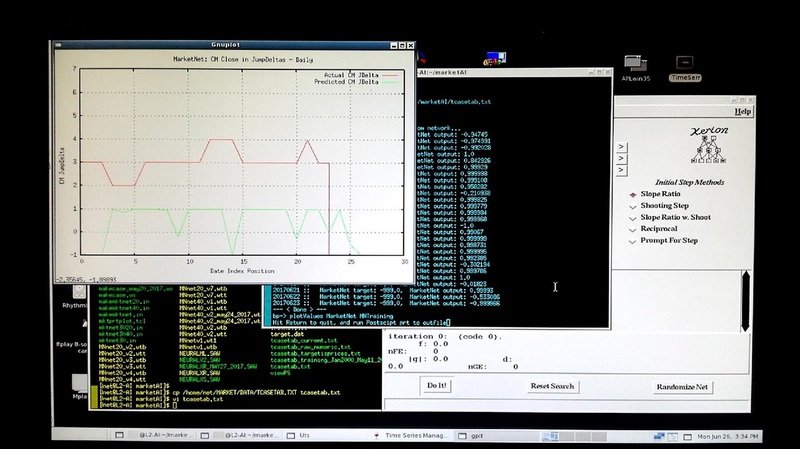 The Python program that generated it is shown below. 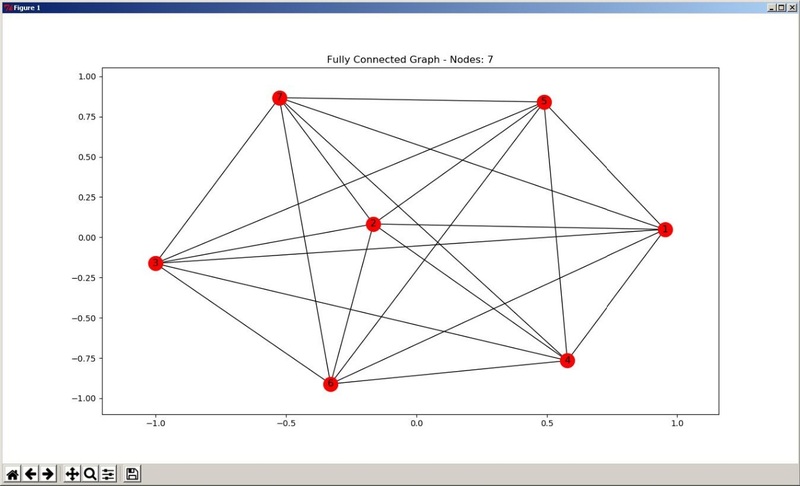 # --- Ok, lets go..
Xerion Display of 30-40-1 neural network, showing output nodes. Running on Fedora Linux, Gnome X11 desktop. Code to define network and load training cases is provided below. This simple program just processes the evaluation cases (same format and name of the original training cases used to train the network), and calculates a simple "co-efficient of accuracy", which is just the percentage of network outputs that successfully match the target. Since the network trains to, and also outputs signed boolean values, any value in the range of the absolute value of .8 or less is counted as a zero, for evaluation purposes. 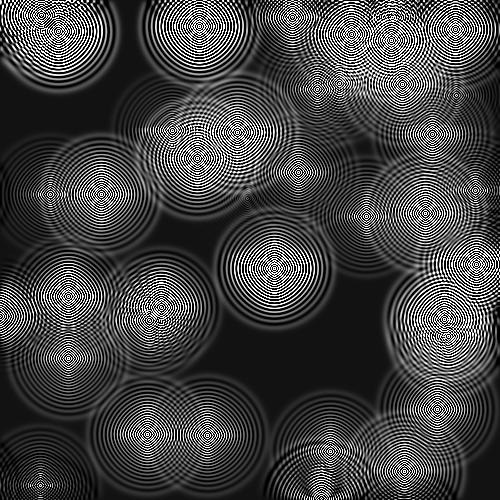 If the network generates a -.723 or a +.6824, that gets evaluated as a zero. If the network generates a .9124, that gets evaluated as a +1.0 boolean, and so on. puts "MarketNet Network: Target versus Output from network... "
puts "$cdate :: MarketNet target: $target, MarketNet output: $output"
puts "--- < Done > --- "
puts "Total Cases : $totctr"
puts "Coeff.Accur : [expr 1.0 * $rightctr/$totctr]"
To compile Xerion, you may have to make a number of tweaks to get it to run on your local flavour of Linux. If you are using modern C compilers (I used an old gcc 4.3.0, circa 2008), you will need to include a varargs.h function, to allow variable number of args be passed. I used an old Xenix header, from a little-known left-coast software firm called Microsoft...). Here is a url to a copy of it, from the Arecibo Observatory website http://www.naic.edu/~phil/hardware/vertex/sharemegsvertex/ocu/pcr/mscv51/include/VARARGS.H This code snippet is dated 1985-1988, and has a Microsoft copyright stmt in it. Without the copyright notice, it is nine lines of code (8 lines, if you don't count the whitespace.) You will need to include a varargs.h into order to get Xerion to compile with a modern gcc. Defining the Network, Loading Training Cases: (file: mktnet3040.in). This file can be "sourced" into Xerion at the Xerion command line (at "bp-> " prompt), or from the Xerion gui screen, under the "File" option. It is basically bash + tcl/tk code. set title "** Scaled ** MarketNet: CM Close in Boolean Jumpdeltas - Daily"
Python & TensorFlow & PIL (Python Image Library) to display the exploding stars example. # --- with negative damping and darker image backgrd. # --- and provides a nifty example of manipulating n-dimensional tensors. """Display an array as a picture. """ # --- show the jpeg. Not needed if using DisplayArray. Questions to gemesyscanada at gmail dot com, if curious. 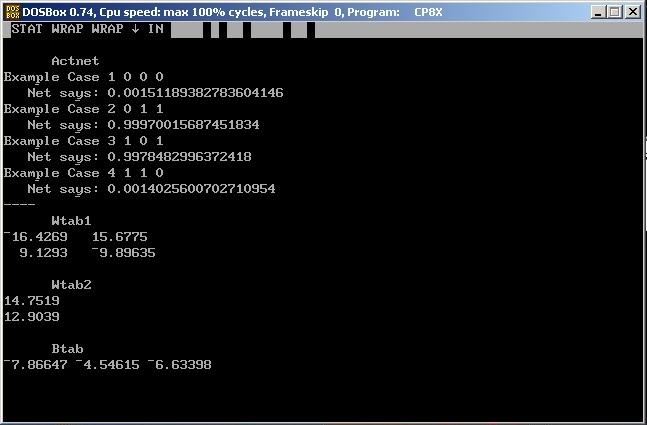 The examples here show how it can be used to "run" the network which has been trained using Xerion, by loading in the high-precision (17 digits real) ascii-text network weights file, and using those weights to process a boolean training case. 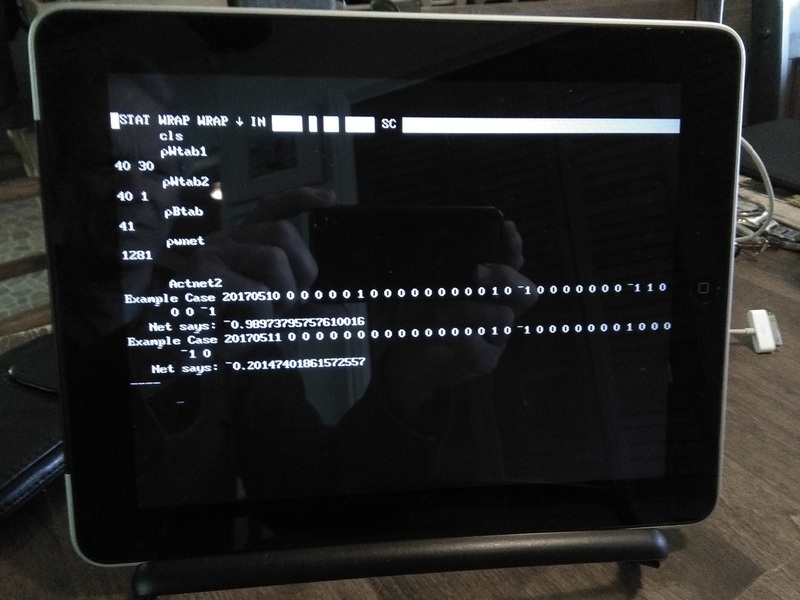 The sAPL interpreter, which is running on an "jailbroken" iPad, (which is running gDOSpad - the custom version of DOSbox for the iPad) is used to do this. The example screenshots show the APL functions that do this. In this way, the iPad can be used as a portable AI executor, to examine real-time boolean jump-delta vectors (driven by the market prices), and provide predictive information that is actionable. 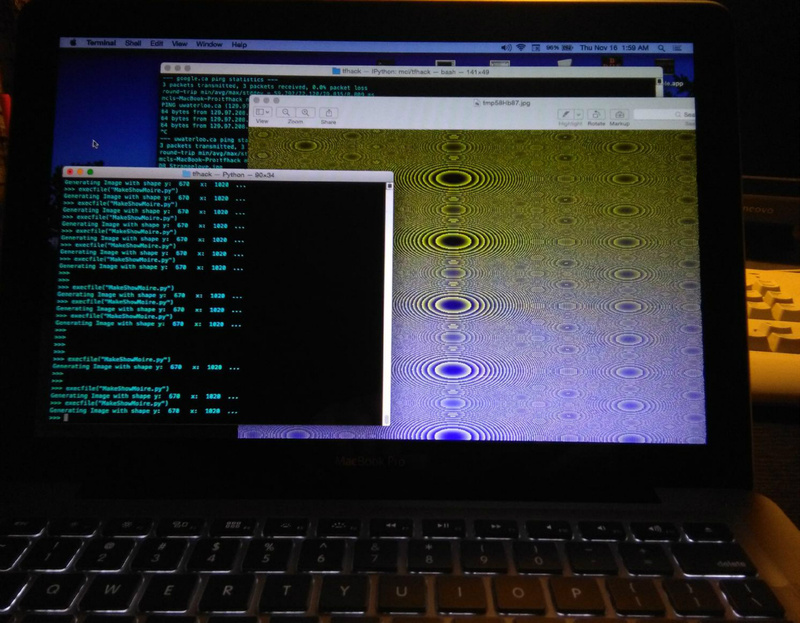 TensorFlow+Python+Numpy+Scipy+PIL(actually PIL is Pillow) Laplace Simulation of Exploding Stars. 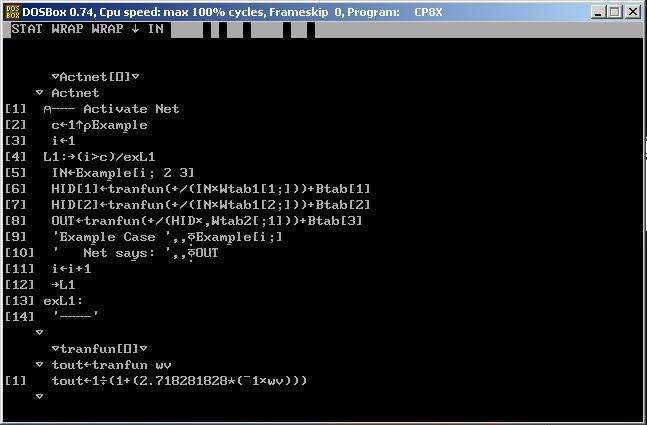 This is sAPL function to read a raw ascii text file of Xerion weights into sAPL as a vector of chars. This procwt function takes as parameter the raw weights char. vector, and processes it into high-precision 32-bit reals for calculation. Utility functions to create pointer vector, raise negatives signs, and execute hyperbolic tangent activation transfer function. The Actnet example to Activate the Xor2 Network. Actnet processes Wtab1, Wtab2 and Btab. Wtabs are network weights, and Btab are bias values. 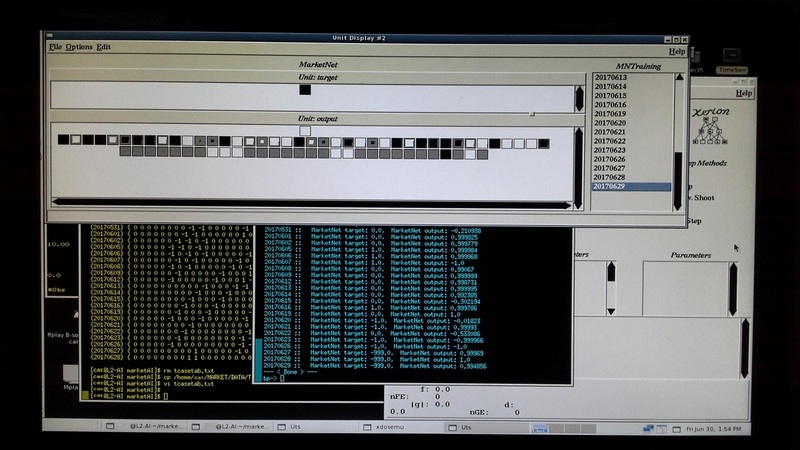 This screencap shows the result, which matches exactly the Xor2 net activated using Xerion. Note the Xor2 net uses logistic transfer function (code provided previous image). Proof-of-Concept Prototype: (or "The Money Shot"!) This is Actnet2, running against a full boolean jump-delta vector case (created by MAKECASE), and generating the same results as the Xerion-trained neural network. Wtab1 and Wtab2 are the network weights data. Btab are the node bias values. 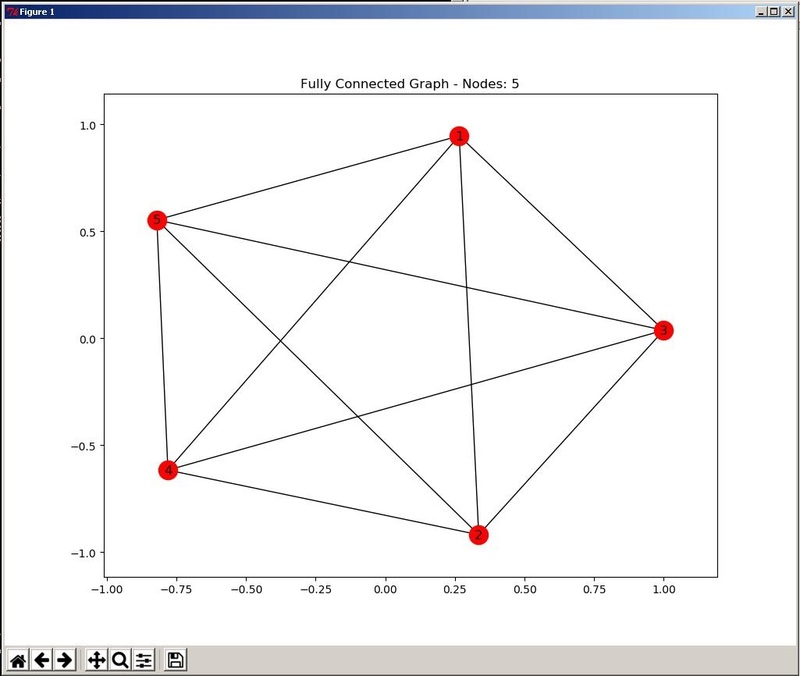 Function Actnet2 runs the Xerion-trained network, for the two boolean "Example Case" vectors, and generates and displays network output. This demonstrates the feasibility of the "Helper AI" concept, using existing technology. Market price-changes, beyond a certain level, can be subjected to a quick evaluation by a tablet device, and action can be taken, if appropriate. The AI can offer immediate, actionable advice, the accuracy of which can be subject to formal evaluation. That way, you can determine if it is actually providing a real edge. Montage image comparison of two different networks, (left window is newest network, right window is original network). The two networks were trained on same dataset, and are here shown run against the small evaluation training cases (shown in middle screen). The two different neural networks are reporting different results, which suggests that training down to a low sum-squared error level does not necessarily make for predictability. Original network seems to offer a more accurate forecasting outcome. This shows example of why training to lowest sum-squared error is not necessarily as good as training to other objectives, such as maximized cross-entropy.